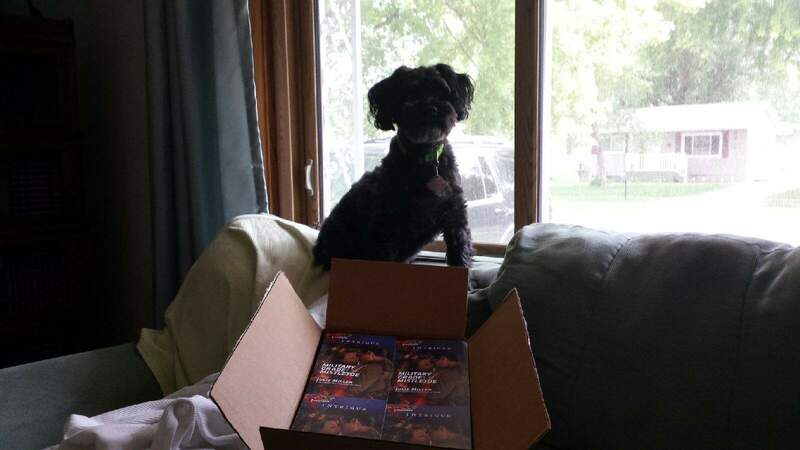 Just Romantic Suspense: Is There a Dog Lover in You? Is There a Dog Lover in You? Congratulations to "Colleen C.", the winner in Julie's giveaway. Thank you to all who participated! Hi, I’m Julie, and I love dogs. There. I’ve said it. It’s no secret, though. 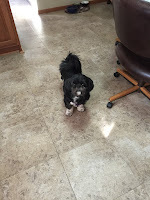 If you follow me on Facebook, or subscribe to my newsletter, you’ve seen lots of picture of my baby girl, Maggie. And if you read my books, you know that I often include dogs (and the occasional cat) in my stories—in key supporting roles as pets and working companions for my heroes and heroines. My November 21st release, MILITARY GRADE MISTLETOE, is such a book. My hero is a Marine who was seriously injured and lost his K-9 partner in an IED explosion while deployed. Losing that dog plays on my hero’s guilt, grief and anger as he comes home to Kansas City for the holidays to try to come to grips with his PTSD and changes in his military career. So, who does he fall in love with? A heroine with a stalker… and three rescue dogs of her own. MILITARY GRADE MISTLETOE is a romantic suspense with a hunky beast of a hero in uniform. This book was a joy to write because I love a Beauty & the Beast tale, I love Christmas, I love a military man, and I love dogs. When I do include dogs in my stories, I try to base them on real pets I’ve owned, or pets of family and friends. Occasionally, as with this story, I base the canine character on a story I’ve read or heard. Today, I thought I’d introduce you to the three dogs in the story and their inspirations. Muffy: A gray and white Shih-Tzu. My dear friend and author Laura Landon owns the real Muffy. He’s treat-loving boy, a little tiger of a guard dog cursed with a girl’s name. Why? As Laura’s elderly mother became homebound, they wanted a small dog to keep her company. They’d just lost a girl fur-baby named Muffy. The new dog’s name was Benji. But due to memory issues, her mother insisted on calling him Muffy, like her previous dog. The name stuck. He doesn’t care. As long as he still gets treats. 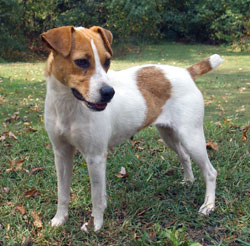 Patch: A Jack Russell terrier mix. Like Patch in the book, my older brother and his wife adopted a deaf JRT mix. He became a handful when little children came along—he’d misinterpret hand signals, or simply get too overexcited with a toddler and baby around to pay attention. They ended up giving him to a deaf family in Fulton, MO—the town where the Missouri School for the Deaf is located. He fit in perfectly at his forever home. Caliban: A 3-legged Belgian Malinois, retired from his job as a K-9 officer for KCPD. 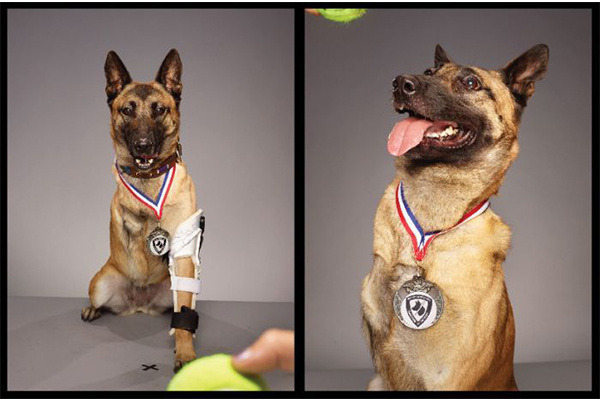 Caliban was inspired by a military service dog who lost a leg in Afghanistan. Like Layka, Caliban still has the heart of a warrior. Like my hero, MSgt Harry Lockhart, he’s dealing with PTSD, too. His joy is playing. You can’t go wrong with a slobbery tennis ball. Do you have a favorite dog or pet? Fictional or real. Share a brief description. 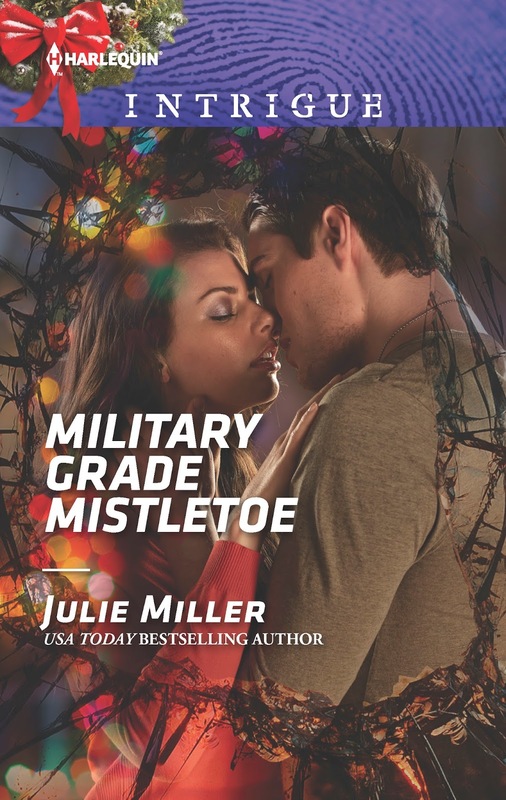 I’ll give away a copy of MILITARY GRADE MISTLETOE to one lucky commenter. Giveaway ends 11:59pm EST November 15th. Please supply your email in the post. You may use spaces or full text for security. (ex. jsmith at gmail dot com) If you do not wish to supply your email, or have trouble posting, please email maureen@justromanticsuspense.com with a subject title of JRS GIVEAWAY to be entered in the current giveaway. I'm not familiar with Timmy. I'll have to check him out. Thanks for the recommendation! I'm a fan of pretty much any animal so I fall for every one I see on a tv show, movie, or even just in a commercial. :) I had dogs early in life, and later in life have had cats. I love both! I've had dogs all my life, too, Lynn. Cats, too, up through high school when I was diagnosed with asthma and that one of the biggest triggers was our cat. Reitzie went to live with cousins in the country after that. It was a sad day when we took him there, though. I know he lived a fat and happy life on the farm because they sent pix! btw, I must post a disclaimer. The picture of the Jack Russell Terrier mix isn't the actual Patch my brother owned. I tried to find a picture, but couldn't. This one reminds me of him, though. I love animals... have had dogs all my life... from different types of mutts to purebreds... each with their own unique personality! The one that was truly special to me was Misty... she was a husky mix... a beautiful dog with a heart of gold... we adopted her from the pound... she was beaten as a puppy by her original owner and was afraid of men... slowly over time, she warmed up to the men in my family, but it broke my heart to know someone could be so cruel. Thank you for adopting a shelter pet, Colleen! Some of our best and smartest dogs have come from the Humane Society. It's heartbreaking to learn what some of them go through before finding their forever homes. I love our dog max we had he was a Basset Hound such a sweet dog. My younger brother and sister-in-law had a wonderful Basset Hound named Cleo for many years. So good with their 4 kids. She just crossed over the rainbow bridge this past year. My neighbour's dog Ralph is my favourite right now. Ralph is a full sized chocolate coloured poodle. He's very sweet and an excellent watch dog. Poodles are great dogs! I grew up with poodles. Mostly miniature, but one standard. I discovered your books with The Taylor Clan Series and made sure I got them all. The Beast In The Tower is a favorite. The Beauty and The Beast trope is my favorite. You were one of my first Intrigue authors. Two of our dozen or so dogs were favorites. Our very first was a beagle mix we rescued from a farm. She was the sweetest dog and excellent with our then 3 and 4 year old daughters. It broke our hearts when we lost her when she was 17 years old. Our next dog was a black lab mix that was part of a litter we fostered for the animal shelter. She was another sweet animal. We had her for 17 years. She was lovable and adored my husband. Actually all dogs adore my husband. She was protective but not aggressive. She was our son's first dog, but he has dragged home many since. She was alpha with the other dogs we got but never in an aggressive way. We added many dogs, some we kept and some were singles or litters we fostered over the years. We kept a dog from the last litter we fostered. She is a terrier mix who is 16. We currently have 3 dogs and can't imagine not having one as part of the family. I have met some wonderful therapy dogs with my Red Cross volunteering at the local VA hospital. Friends have 2 labs they bring in, another friend brings his 2 Weimaraner dog. There is another gentleman who brings 2 gorgeous Irish Wolfhounds. The patients look forward to their visits. There is also a program to get service and therapy dogs for those with PTSD and other medical issues. It makes such a big difference in their lives. Beauty & the Beast is my favorite story hook, too <3 I'm really pleased to hear that you're a longtime Julie Miller fan. Not too many readers comment on Beast in the Tower, so that's cool that it's your favorite. I think dogs make wonderful companions, especially in a therapy situation. I have never seen an Irish Wolfhound in person--I would love to meet one someday. Thank you, too, for your volunteerism!